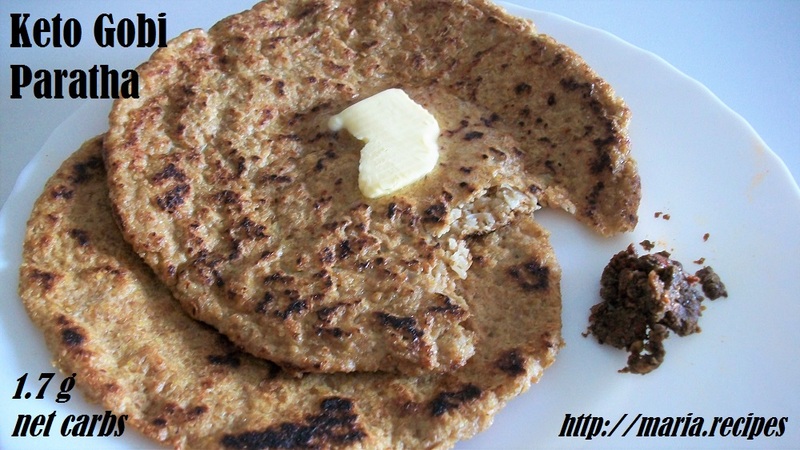 Prepare the flax roti dough like in the original recipe. Divide the dough into five and the filling into five. Take one piece of dough, divide into two and make two disks that are the same size, as thin as possible (less than 1 mm). Put a portion of the stuffing on one of the disks, lightly water the edges, then put the other disk on top. Use the rolling pin to seal the edges, very carefully so it doesnt break. Then, gently roll the whole paratha. Cook like you would a normal paratha, using 1 tsp of oil.